The last time I came here was in the summer about twenty years ago at the end of a twelve day walk on the coast to coast path from St Bees in Cumbria. We had gone into the village to eat and celebrate but the whole village suffered a power cut and we could only get a salad to eat. 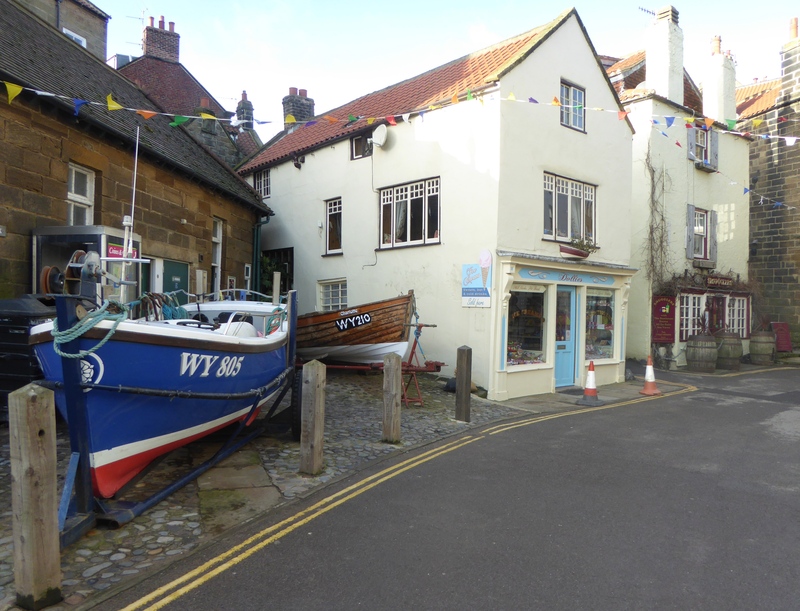 It’s an early start at Robin Hood’s Bay where I descend the steep road through the village. Most of the shops and businesses are still closed. The tide was in so I could not get very far along the beach, so follow the path and soon I am passing the Youth Hostel at Boggle Hole. This is one I have not stayed at, but looks quite impressive. There are quite a few people out walking dogs as I continue to Ravenscar, passing Ravens Hall, a conference Centre. 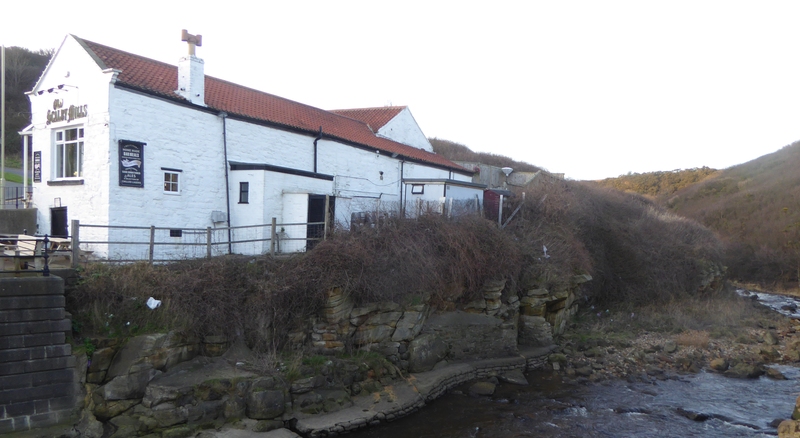 I sit on the steps going down to the cove of Hayburn Wyke and eat my lunch. I continue on with many steps to negotiate up and down into coves. The day is bright and the wind is trying to blow me into the sea. The going is quite strenuous which should really tone me up for the next few months of walking. 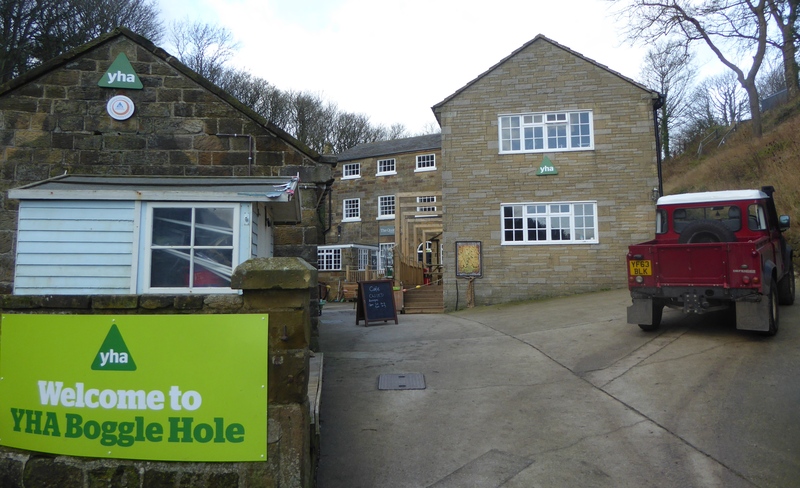 I finish today at Scalby Mills just north of Scarborough, where I get picked up by the family. Time now to go and find the cottage we are staying at. 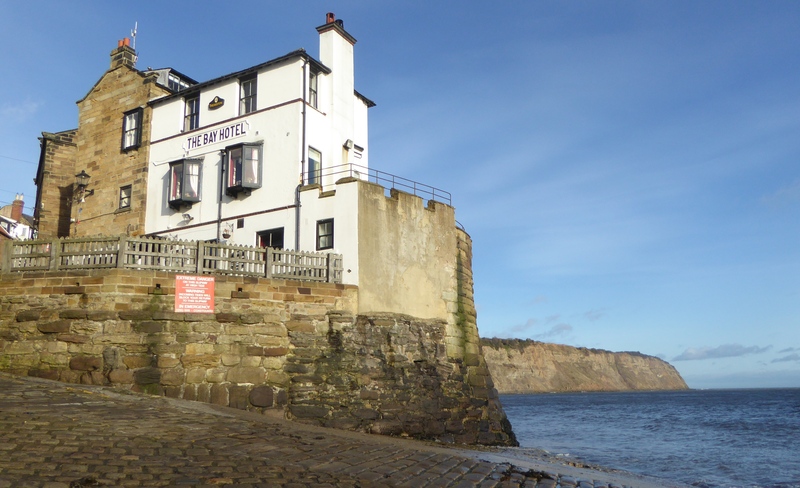 This entry was posted in England, North Yorkshire and tagged Boggle Hole, Coastal Walking, England, Robin Hoods Bay, Scalby Mills, Walking. Bookmark the permalink.